I’ve wanted this stroller since I started my baby registry in 2012 during my pregnancy with Sophia. I was a new mom and since it’s expensive, and I hadn’t really researched it a ton, I went with the Graco Trekko 3-Wheel Travel System. Wrong choice. It was huge, incredibly bulky and while it pushed like a dream, I could barely get it in and out of the car by myself. Then, it broke. Graco refunded my money, and I bought the same system again, in black this time. Then, it broke. Another refund, another purchase of yet again, a Graco stroller. I loved this stroller, and thought this was my end-all search. Wrong again. My love equaled Sophia’s hatred. 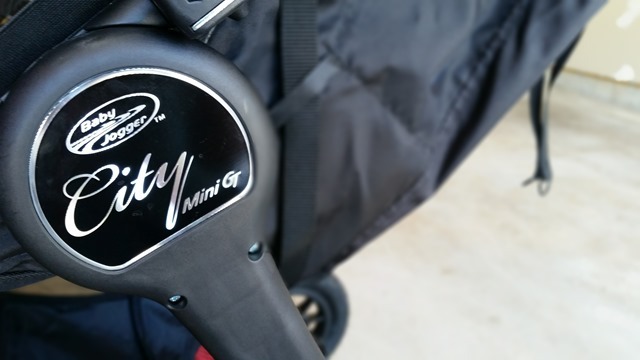 I sold it recently, and we finally went ahead and purchased the Baby Jogger City Mini GT stroller in Black/Black. 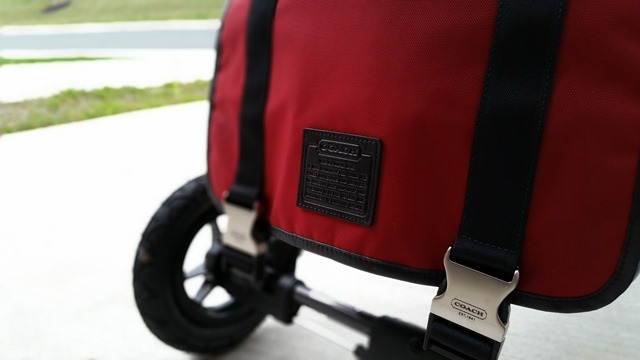 The entire stroller liner and canopy can be removed and washed in the washing machine(?!). 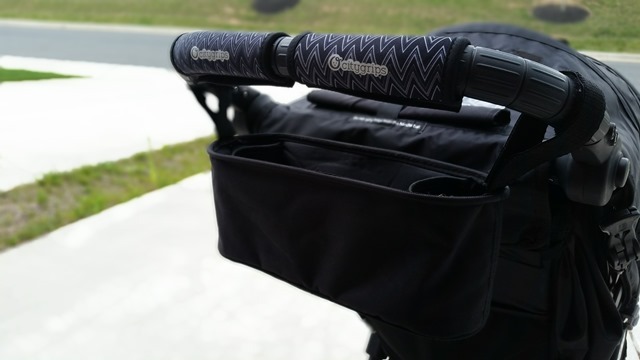 The handle bar is height-adjustable (GT version only) so it’s comfortable for both my husband and I to push. The harness is simple. It reclines nearly flat so napping is always an option. 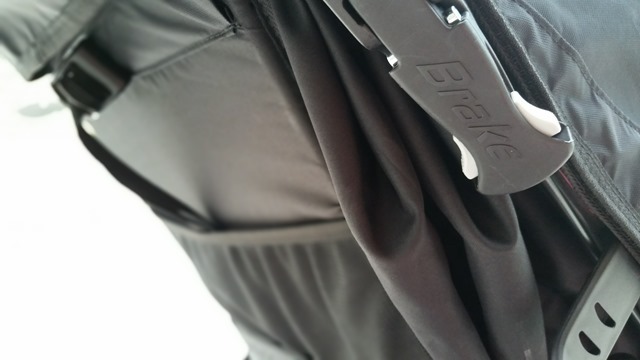 Mesh allows the breeze, but comes with a built-in weather cover in case it rains. The canopy is amazing – no other word can describe it, along with its two peek-a-boo windows. Your pedicure will never be ruined because the (GT version) comes equipped with a hand brake. Best part, it collapses in one motion. You pull a single handle and it folds/locks in seconds. The best part is that Sophia loves this stroller. It’s been a fight to get her into the lower-end jogger we have for walks, and it’s not pretty. This stroller gives us the ability to get outdoors + have fun doing it. It’s also a dream to push. 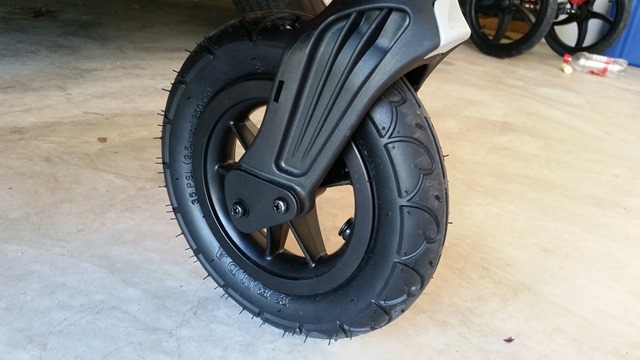 It has forever-air tires and won’t ever get a flat. 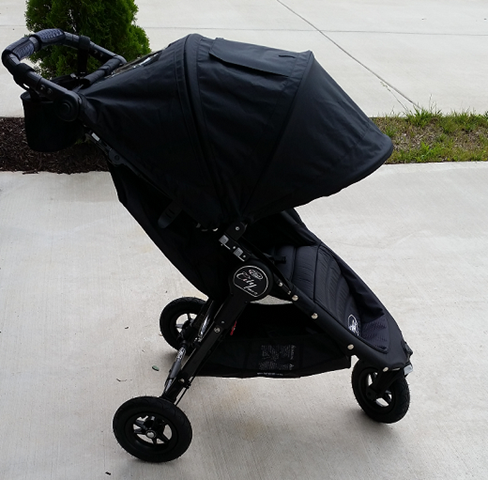 They’re also quick-release, which allows you to make the stroller lighter or more compact if need be. 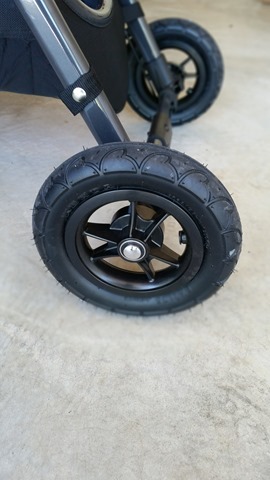 I’d say the only con about the stroller would be the weight, but the GT tires are completely worth it. If someone stole it, I wouldn’t hesitate to purchase another one immediately. The price may set many people off. I completely understand, as I didn’t purchase it for two years. However, Baby Jogger just did a logo change and slashed the prices on all 2013 models! 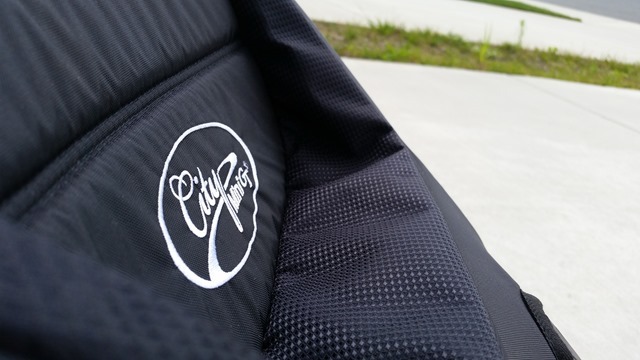 I got this stroller for a steal, even cheaper than the original City Mini! I haven’t purchased any Baby Jogger accessories for it yet. 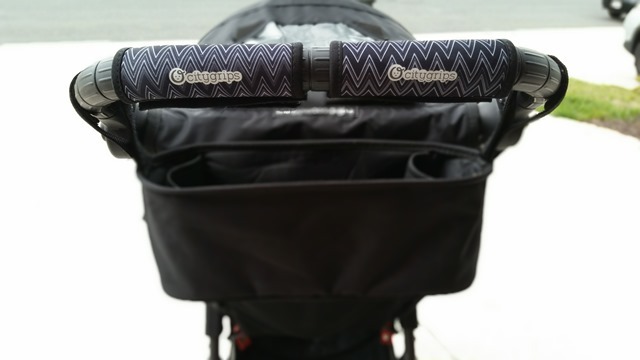 I only have the Choopie City Grips which are a MUST on every stroller I own now, and the Diono stroller console which I’ve had for over a year now. Both so affordable and something I use every day. 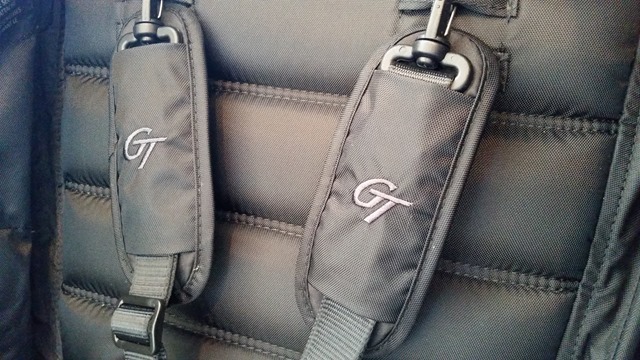 I also had a pair of stroller hooks that I attached on the stroller mid-frame to hang the diaper bag so that it resolved the “tipping” issue that is heard of with the GT version. Do you have this stroller or a similar one? Do you love it? We had to buy a stroller unexpectedly when my husband had to go back to work early and I was by myself with our (at the time 3 month old) baby. We found this on clearance at target and really meant to just buy a stroller to get through the week but I absolutely fell I love with it! I love it more than our other jogging stroller. 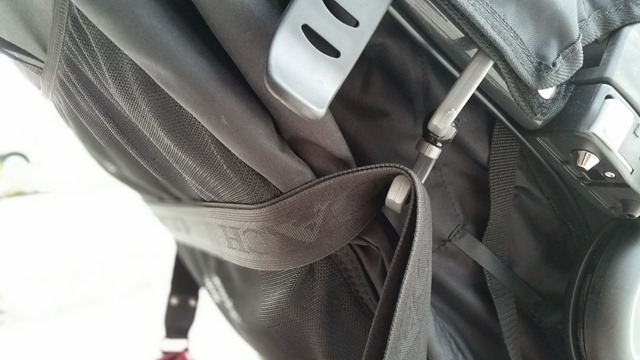 I really regret buying a travel system from graco. I wish I did more research!